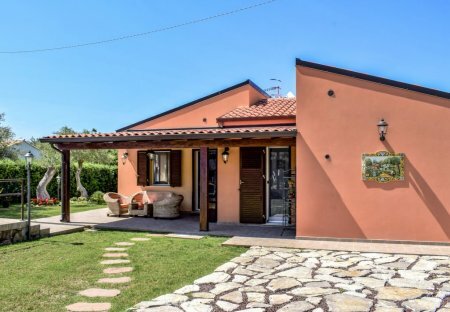 This 3 bedroom villa with private pool is located in Canale Monterano and sleeps 8 people. It has WiFi, air conditioning and a garden. This 5 bedroom villa with private pool is located in Radicofani and sleeps 10 people. It has WiFi, air conditioning and barbeque facilities. This large house overlooking the valley is located on a property of 12 acres with vineyards, hazelnut, kiwi fruit and olive trees, 6 km from Vignanello. 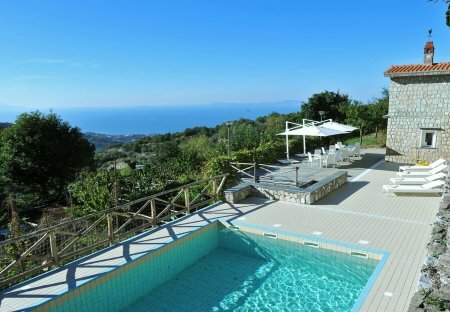 This 8 bedroom villa with private pool is located in Rapolano Terme and sleeps 16 people. It has WiFi, air conditioning and a garden.